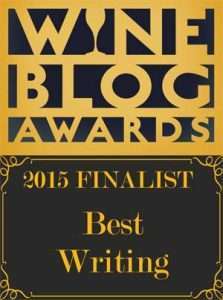 Pinot Noir: the impossible grape varietal that should not be. It’s a tough vine to grow, from its immensely delicate skin to its persnickety need for precise growing temperatures, along with its critical preference to soil types. The vines need water, but one mustn’t dare overdo it. The vines need sunlight, but not too much, not too little. Then there’s the willowy, delicate branches and the slender, fragile trunk. So naturally, this is my absolute favorite. I adore everything about this grape. Everything. 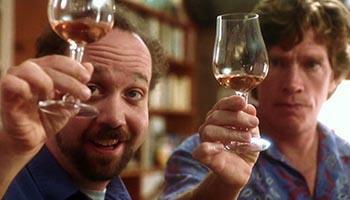 Thanks to Sideways, Rex Pickett’s book, the subsequent screenplay, and film, Pinot Noir has now become romanticized and many a novice wine drinker at once realized that Pinot Noir was a varietal to consider, to drink, to fall in love with. Many growers tried to follow suit and thought they could (and should) simply put a Pinot clone in the dirt and watch it flourish like a Cabernet, which by the way, needs much less attention. These growers did not consider the constant nurturing, love, and passion such a vine demands. There’s been a downside to this turn of events; for the past 10 years, the wine market has been inundated with mediocre pinot noir. If you see a $10 bottle of Pinot Noir on the shelf at your local wine store, you should take it in your hand and smash it on the floor. Just taking a note from the pages of Rex Pickett. It’s something he wrote about in Vertical, the second of his three books. The novel continues the adventures of Miles and Jack and, if you’ve not read the trilogy, you should. In 1978, in a garage in Forestville, California (the Russian River Valley) two friends got together to make some homemade wine. Eighteen years later, they sold their business for nine million dollars and retired. As Confucius said, “Do what you love, and you’ll never work a day in your life.” It certainly sounds like that applied to Burt and Ed. This is the simple story of two men who set out to make great wine, to do what they loved. The first wine they made was Zinfindel, with grapes sourced from the famous Martinelli’s Jackass Hill vineyard. In 1981, just a few years after the making of that garage Zinfindel, they officially ‘launched’ their business, for fear that the TBB (Alcohol and Tobacco Tax and Trade Bureau) would come knocking. The name they chose was Hacienda del Rio. However, a few years later another winery named Hacienda Winery, who wasn’t even operating, filed a complaint about the name similarity. They sent a cease and desist letter. The two agreed this was a minor battle and one not worth pursuing. Instead, they decided to use their time more wisely and changed the name. The partners chose to go with their surnames and, hence, Williams & Selyem was born. By 1984, they had created a very simple label with black and red typefaces on a cream colored background and, to this day, it looks just as it did. The marketing tactic that Williams & Selyem used to sell their wine was a simple one: a mailing list. That’s right. When you signed up, you were in and, twice a year, you’d receive six bottles of the wines they produced. Loyal customers signed up in droves to get their wine and, today, their mailing list has over 15,000 names, with nearly 4,000 on a waiting list. The best places to find their wines are in restaurants and specialty wine shops. You must realize that in 1987 they still worked out of a two-car garage and used converted dairy tanks for fermenting and an outdoor crush pad to produce their wines. They had no land of their own, they did not grow their own grapes, and all the wines made came from the grapes they sourced. All the deals they made with growers were done on a handshake. That’s just how they did it. Williams, the winemaker of the pair, read every winemaking book he could get his hands on, while still holding down a full-time job that was two hours away from their place of operations. Confident that they were producing wines that could rival the best California was making at the time, they entered their 1985 Rochioli Vineyard Pinot Noir in the California State Fair. 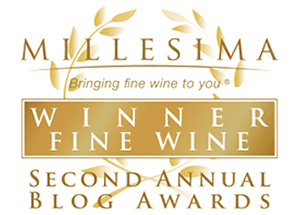 The judges honored the wine with the Sweepstakes Prize for the ‘Top Red’ and also named Williams & Selyem Winery of the Year. This catapulted the attention of many and the demand for their wines went through the roof. A longtime friend of theirs leased them a few old buildings that were on his property in Healdsburg and, at once, the refurbishing began. By 1989, they had themselves a real winery, and it was then and there that they were able to begin their harvest. In the two years that followed the winning of the state fair, their Pinot Noir achieved cult wine status. With the Pinot grape being as temperamental as it is, the ability to source top-of-the-line grapes was a huge win for the up and coming winemakers. William & Selyem started sourcing the best of the best, and the quality of their wine reflected it. This in part put the Russian River Valley on the map for fine pinot grapes and set a standard for California quality. For Burt and Ed, it was never about quantity. It was always about excellence. So if that meant dumping grape clusters that did not have the quality they demanded from their juice, then that year’s production would result in fewer bottles. Period. Into the 1990’s the winery was in full production and the partners felt a sense of accomplishment. They’d set out with a dream of making and marketing the finest wines they could, and they did just that. Production grew from 4,000 cases to 8,000 by 1998. The waiting list for their single-vineyard wines spanned over two years. Then they stunned the wine world; they both decided to retire. In the spring of 1998, Burt Williams and Ed Selyem sold their winery for nine million dollars to New York-based investor and wine connoisseur, John Dyson. The wine industry held its breath as they waited to see if the same passion that Williams & Selyem stood for would continue. Nearly twenty years later, the winery still produces some of the top Pinot Noir in California. 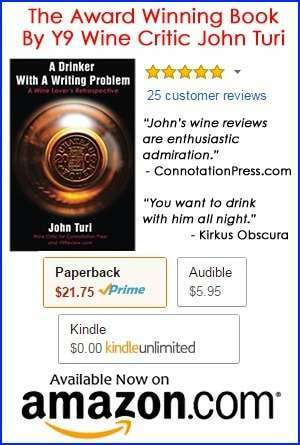 Their wines still garner top reviews from prominent wine critics. In 2001, the winery purchased the property from the family of Cecil and Luella Litton, and it was this property that would become their estate vineyard. The first grapes they actually grew. In honor of the Litton family, the property was named Litton Estate. In 2007, William & Selyem was awarded 100 points by Wine Enthusiasts for the wine they produced on the Litton property. It was the first time ever that a North American Pinot had ever achieved such a high rating by a major magazine. Today, John Dyson and his wife, Kathe, are still very involved in every aspect of the winemaking, from soil to sip. The winery that they purchased because Kathe fell in love with the wine and the men who started Williams & Selyem (this sentence fragment doesn’t stand well on its own. I would remove it or turn it into a complete sentence). John Dyson has been quoted as saying, “I have never worked so hard to change nothing in my life.” For many years, Burt Williams wrote down in his notebooks the arduous details of the winemaking process and spoke beautifully, if not poetically, to the degree of difficulty that ‘is’ Pinot Noir. That process is still honored today. 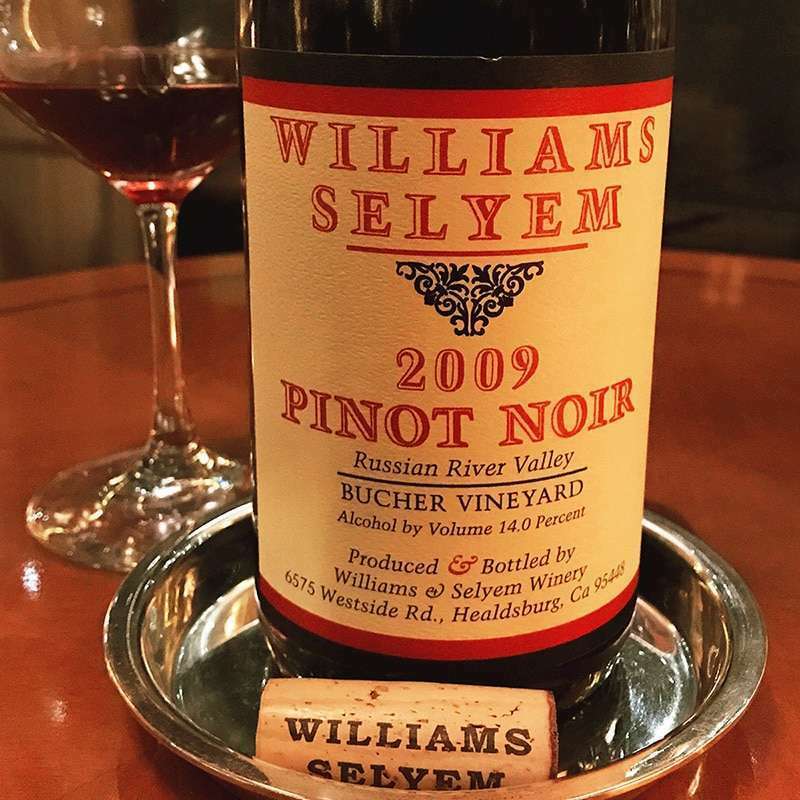 Final Note: With the high acid in their Pinot Noir, Williams & Selyem’s wine can be aged for over 10 years. Many vintages don’t even mature until about age 12.